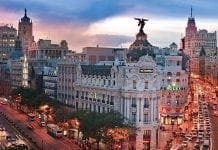 LIFE in the fast lane looks to be a thing of the past for Spain’s motorists. New speed regulations will see far-ranging speed limit reductions enforced on the country’s roads. Following the release of the final draft of new traffic regulations, the changes will come into play in the spring. Urban roads with a speed limit of 100kph will drop to 90kph, while roads currently at 90kph will drop to either 70kph or 50kph. Unpaved roads will have a maximum speed of 30kph and motorways will continue to have a maximum speed limit of 120kph. These speed limits were put in place when cars couldn’t go anywhere near those speeds. In this day and age they should be INCREASING the speed limits. some bunch of chauffeured non-real-workers dreamt this c–p up. wasn’t there a rumour that the max limit was going to be upped to 130 ??? If a any country is showing the world how not to formulate a road policy, Spain is surely it. I mean, they change speed limits more often then most people change clothes. Are they going to stick new values on all the old speed signs and then do a U-turn 6 months later and reverse it again like last time? Only cost a few million. Never mind eh, it all comes from the EU pot lol. They keep changing the speed limits but it makes no difference, people still speed. When we stick to the speed limit along the N340, we constantly get overtaken. These new, very low speed limits look completely unrealistic anyway, I think most people would stall at that speed! I think they just want an excuse to fine people. Rob, I can’t find any reference elsewhere to these changes, what is your source? Hi John, it has been largely reported in the Spanish press, from which I translated it. Thank, you, I’ve now read the El Mundo piece. It will be interesting to see what they do here in Lanzarote. We only have a few Km of 100kph road, and that is a dual carriageway from Arrecife down to Tias. Other dual carriageways tend to be 80kph, although the majority of the LZ1 and LZ2 which between them run the length of the island is, a single carriageway 90kph limit. I shouldn’t thing this will make a blind bit of difference to the speeds people drive at. Nobody sticks to the speed limit in Spain. There was a report recently that with more cameras being installed more people are sticking to speed limits. This has resulted in the number of fatal accidents in 2014 being half that of 2013 and a drop in income from speeding fines. Well,Spain again is just like the UK they are looking to make easy money, money ,money. More ridiculous Spanish rules. Why don’t they just teach people to drive properly, rather than make speed the excuse? It’s got to just be an excuse to steal more money from decent people. Which is when people start losing respect for the police. Anna. Don’t blame the police for changing the speed limits. They don’t make them up. The national Government state maximum speed limits but is up to the Junta to decide what the individual limits will be within those limits set by the Government. Fred. Last time they changed the limits was at the start of the tecession and was an attempt to save fuel. It was always going to be for six months only. Saving fuel? lol. As many have commented on in the press, you just need to drive around the region to see how mad the speed limits are. The vast majority have no safety element, at all, and are purely in place to penalise and fine drivers. 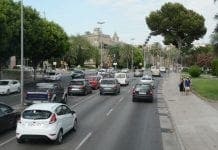 Spain´s national traffic agency (DGT) this week reports that road deaths in January 2015 are up a massive 42 per cent on last year. 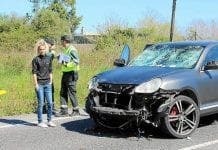 Speed cameras have clearly done next to nothing to stop road accidents. Just collecting money from tourist! I arrived in Spain for holiday 31/12/14 and left 09/01/15. I received a speeding ticket taken by a car camera on the day I arrived and the day I left. One was for 109 in 100 zone. In the USA, this indicates that the police are being used to fill the coffers. I paid on the internet and they converted from dollars to euros within seconds. The police were doing this in the resort where I live, but they stopped when the tourists stopped visiting. Can any kind person in the know please advise me on the new speed limits for campers/motorhomes under 3500 kgs in weight. I believe, correct me if I am wrong, that the new maximum limit for such vehicles is 100kph on motorways. What can the limits be on other roads.